ALL OF THE COMFORTS OF HOME! 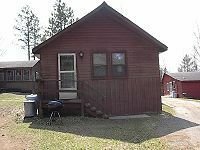 Enjoy the beauty and serenity on the beautiful South Fork of the Flambeau River as it winds through the heavily wooded Chequamegon National Forest. 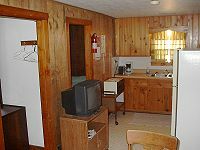 For a relaxing time in the northwoods make a reservation at the Flambeau Resort hospitality is our number one priority. 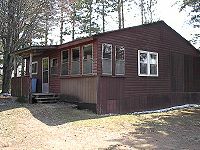 The resort consists of seven modern 2 bedroom cabins located among the rustic birch and pine trees. 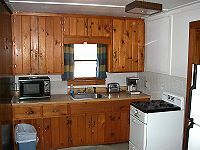 Each cabin is complete with a color TV, coffee maker, alarm clock, microwave, as well as stove, refrigerator and central gas heat. P.S. EACH CABIN COMES WITH ITS OWN GRILL!!!!!! A 14 ft. jon boat are included with each cabin. Additional boats and outboard motors are available on a daily or weekly rental basis. The resort has a play ground for small children - other game area available. Nights are cool - sleeping is excellent. * Nightly rate requires a two night minimum stay. 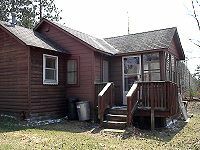 All cabins are listed for 4 people per cabin. Additional people are $15/person/day; children 12 and under are free. 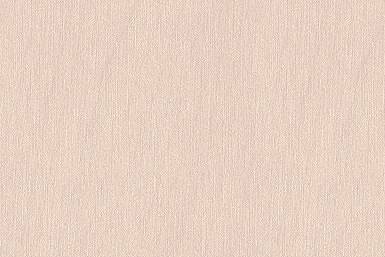 Rates are subject to 5 1/2% State of Wisconsin tax. We require a $100 deposit to hold your reservation. Your deposit is refundable only if the cancellation can be filled. Check-in time is 2:00 p.m. on arrival day; check-out time is 9:00 a.m. on departure day. Reservations are recommended. A confirmed reservation assures you that your cabin & boat will be ready and waiting for you. $50.00 deposit is required with each reservation. Check in is at 12 noon on Saturday and check out is at 9:00 AM the following Saturday. To make a reservation, call the resort at 715-762-2178 or 715-762-4757 after 4:00 p.m. In either case, if we are unavailable to take your call personally, there is an answering service on each of these numbers. "A good place to get away from it all and just relax in the quiet of nature's beauty." A resort for Family and Friends! What to make a reservation? 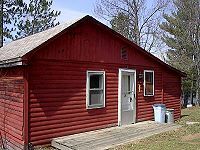 © Flambeau Resort has Wisconsin vacation resort cabin rentals near Mercer and Park Falls Wisconsin. 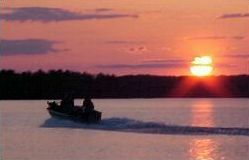 for great Iron and Price County Wisconsin fishing, ATVing and snowmobiling vacations.